In honor of Nelms and Rie's Birthday, Saturday night at the Koinonia Cafe the gang had an 80's party. Most of the students dressed up 1980's style. I look forward to more pictures, so you students make sure to put up a comment and tell us where we can see more of the pictures. It looks like everyone had a great time! Time has gone by so fast this month and there are a few things that have been on my heart. For the last couple of months I have been going through some personal struggles dealing with Hannah leaving for the States. You know when Zach left Okinawa it was difficult during that last hour before we departed. At that point it hit me super hard, like a freight train realizing that my son will be going to College and things will never be the same. He was and still is my best friend as he is a part of my life everyday (my daily training partner). But as he went to Bible College I saw him grow and abound in the Lord Jesus Christ. 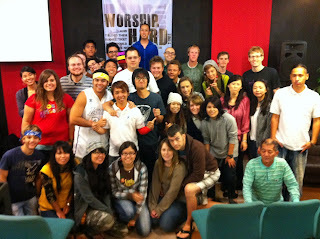 And when the Lord allowed him to come back to Okinawa and serve at the Bible College and Church it was such a joy. As he prepares to leave Okinawa again at the end of the summer I look with anticipation on what the Lord will do as we begin CCBC in Tokyo. But there is another thing on my heart. As I have been reflecting on Hannah leaving the past few months and they have been super difficult. The hardest have been looking at pictures of her when she was a little girl and asking the questions "where did time go"? We used to make fun of Michal because when we talked about Zach leaving in the early days she would say "I don't want to talk about it" because it upset her so much. We would laugh and laugh at her and tell her to not get so emotional. But the shoe is on the other foot now, as I have been the one who "does not want to talk about it". But then something happened on Easter that I did not expect; While I was teaching on John 20 at least 4 times the Lord tells the Disciples "Peace". I was telling the congregation that God was going to give them peace, peace in the difficult situations that they are going through and will go through in the future. Then all of a sudden there was a revelation, like God spoke right to my heart "Tom, that peace is for you too". Wow! It hit me hard! Yes! That peace is for me too, then God flooded my heart with His peace. Today I look with anticipation and great joy that Hannah will be leaving Okinawa to embark on the greatest time in her life; Bible College at Murrieta. Like so many gals before her she will receive her calling and equipping for all that He has in store for her life. Like I told my son, 3 years ago "Bible College was the loneliest and greatest time of my life". It was the loneliest because I had to move away from my family and friends, but the greatest time in my life because all I had to do was study, eat and sleep. No pressure from a secular job, no bills to pay, just studying the Word of God. I am still going to miss Hannah greatly, but I am filled with the joy and Peace of God, a peace that He gave me, knowing that He has her in the palm of His Hand. Thank you Jesus for your peace. That is the name of Toki's new rock band as he picked up new band members. The guy on the far right is a solid drummer from CCWestTokyo, and the guy next to the Tokster is Tatsuhiko's younger brother. In fact, Toki will be spending the night with Tatsu's family. So that means I will be spending the night at the church alone. That is ok, I have a lot of homework to catch up with. Have fun Toki and be blessed. Don't they look beautiful? It was great seeing Jiai at the conference, and also a super blessing seeing our Brazilian sister; Marcella (I think I spelled her name right). She is back from Brazil and the Lord blessed her with a new agency. I told her that Joanna was going to be so excited to see her. God bless you girls, it was such a blessing seeing you again. Well, here we go, in the almost 7 years we have been posting here at e3missions, we have hit a milestone; 117 posts. Honesty there was not a real push to post so much, just a lot happening this month. We started off the month with the Korea trip, then we went to Guam, don't forget Easter, the Tohoku Relief Trip, Nagano, and the Calvary Japan Conference. I should also mention that on many of these trips we threw in the worship conferences that were held in Korea, Guam and Nagano. It is exciting following Jesus Christ! Who said being a Christian is boring? No way! Just check out the past posts, there was a lot going on. I finally was able to meet Pastor Jeremiah's mom and dad. They were both a total blessing. They are very supportive of Jeremiah's ministry here in Japan. They will be here ministering along side them for a whole month! I know the kids are loving having grandma and grandpa for this long visit. Not everyone can say that they were the first girl to head out to the relief area, but our own Erin was one of the first. But at the same time it does not surprise me either. For those of you who know Erin she has to be right in the mix. While others were manning the phones she was shoveling mud up to her ankles. You go girl. The guys separated from the girls to receive some special teachings. We were able to hear from Jonathan Wilson from CRASH. The good meetings continue on. That is what Joanna calls it, especially to Michael Snider because he loves Coca-Cola. It has no nutritional value so thus given the name. Joanna has been trying to stop Michael from drinking Coke for years, but to know avail. So Mike and Toki are giving the devil sign. When I look at these pictures they bring me such joy! 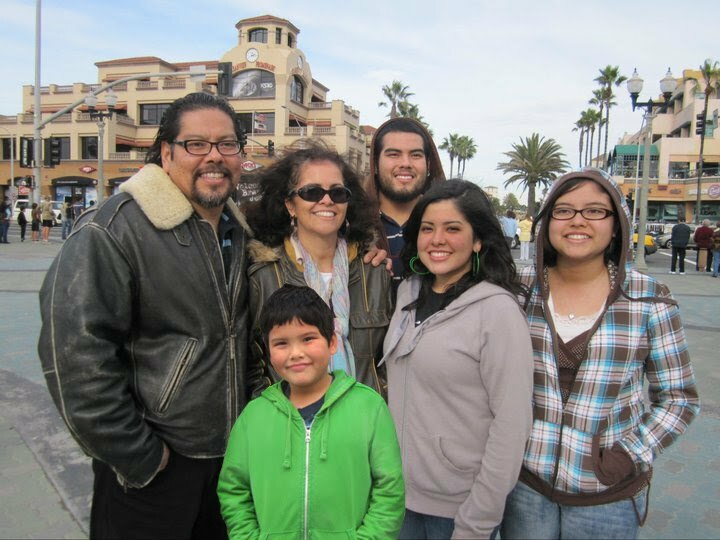 I cannot believe that God has allowed Joanna and I to raise up (in the process of raising up) 4 wonderful beautiful children. For me personally God has blessed me with my wife for 25 years! These first 25 years have literally blown by! Where did the time go? The great joy is that I can continue to be with Joanna and love and disciple her in the way of Jesus Christ. God has given me for a time to help develop Joanna's gifts for His Glory. She is such a beautiful gifted woman! This past Friday morning we were blessed with Tetsuya coming from Teen Challenge Okinawa to speak at our "Lectures in Ministry" class. Tetsuya is a leader for their organization. He is such a blessing to all of us at CCGinowan. Thank you bro for coming and blessing the students, you are a great witness to us all. I am the first from Okinawa to hold the Spearman baby; Adelle! Don't be jealous folks but I am blessed! Rusty is all smiles. The Conference has allowed different times of prayer. These times are important as we spend time praying for one another and vision for the future. 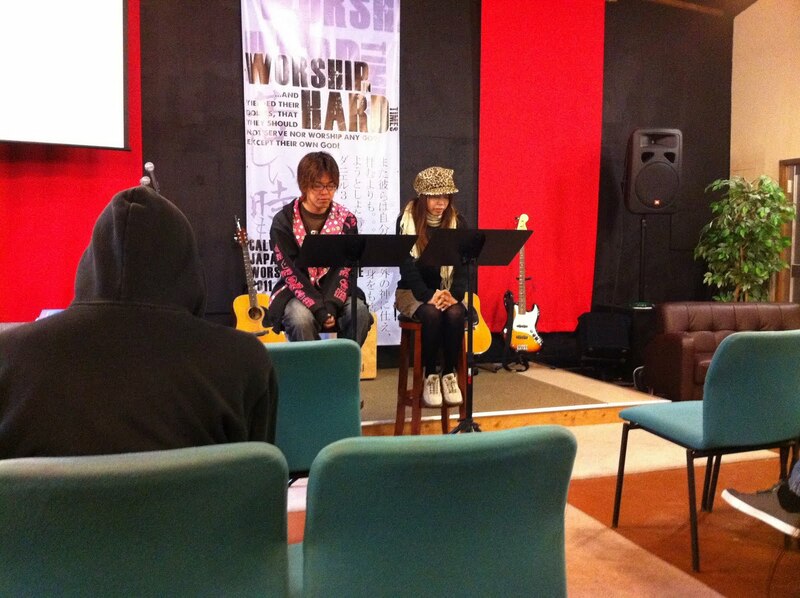 Pastor Travis and Pastor Kiyomasa share about the Tohoku Relief. Kiyomasa does a good job of sharing with the people. Travis is the translator and also does a good job. It is great seeing all of our Calvary Christian brothers and sisters. Everyone should see Mt. Fuji at least one time in their lifetime. It is such a beautiful mountain. I tried to take the best picture but the car was moving fast. We make good time driving with Travis. It was a blessing to be at the Nagano Church fellowshipping with Pastor Kazunari and Yukiko. They were so loving and the same goes for the church. Thank you everyone for your prayers, the afterglow Wednesday night was powerful and a blessing to everyone. NWC (Nagano Worship Conference) Pastor Travis and Pastor Santo work hand in hand. They do a great job translating for each other, right on the money. Everyone came back for the second night. We are looking forward to a powerful night. Aya's church knows how to put on a potluck. They are a full on Japanese Church but we had Korean and American food, Japanese style; it was delicious! Great way to begin the second night. The Hokkaido team are no back from Mainland Japan. They had a great missions trip and now it is time to share with the church body. Thank you Jesus for such a fruitful time in Jesus Christ. Eder renewed his visa today at immigration and they granted him a 3 year visa! It is such a blessing to have Eder serving here with us in the ministry. We are looking forward to Amanda' and Eder's Wedding too. The amazing thing about Ninjas is that they are able to adapt to any environment. I was amazed to see how they hide in the water. Go Ninjas! It has been March 2010 since we have posted 100 entries into e3missions. We dedicate this milestone to our recent trip to the "Ninja Museum" in the mountains of Nagano. Yes, you have read right, a museum dedicated to Ninjas. It was awesome! Check my Facebook page to see more pictures. I will put up a few more randomly. This is Aya's doggie Emma; she like Toki a lot. They are hanging out together in the cabin. Only one problem, Emma does not like taking pictures. We made it safely up to Aya's house in the mountains. The house is warm and beautiful. We are so blessed to be here. Tomorrow begins a good day of sightseeing before we begin day two of the worship conference. Night 1 "Nagano Worship Conference"
We begin our first night of the worship conference in Nagano. Pastor Kazunari (Aya's Pastor) has graciously allowed us to come and serve the church. Pastor Travis and Pastor Santo are the guest speakers but the Holy Spirit is the Teacher. Toki has heard so much about the "black thunder ice-cream bar". So Pastor Travis took Toki to go and get one. Look at his big smile; but the real question is "did he like it"? Give us your comment below; what was your first encounter with the "black thunder bar"? The guys gather every Tuesday for breakfast and a devotion. It is a good time for them to get to know how everyone is doing. Peter shared in the Word this morning; good stuff. Toki and I leave for Tokyo and they begin to party away. In celebration of Joanna's birthday Hannah made dinner for Joanna and the students. And because many of the students are gone on missions trips they ate family style. Those are fun times, I bet they had a great time. Happy Birthday Joanna, have a blessed time! We are on the monorail bound for Hamamatsu and then on our way to Tokorozawa. Toki like this advertisement for the Tokyo banana. It is time to leave for Tokyo. We met up with Pastor Rick as he is on the same flight. We will spend one night in Tokyo and then we are off to Nagano. Pastor Rick will head to Sendai. Instead of baseball we use a plastic/rubber ball and you use modified baseball rules. Anyone can play and have a blast. As you can see even Tamiko got into the action. A Rockin fun time at the park. During the fun time the kids hid some candies and then we put up a puppet show sharing the Gospel. The students did a good job sharing the Gospel. The park time was a blessing. 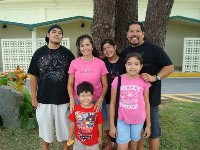 In the almost 7 years that we have lived in Okinawa this was the most relaxed, blessed, and joyous Easter Celebration. The whole goal of the weekend was to just enjoy Jesus! To enjoy what He has done for us, to rejoice in the blessing that "He has Risen!". There has been a lot of action around the church; between the outreaches, the missions trips and the busy"ness" of living ministry; it was a blessing to just to relax and gather as a bunch of believers and worship Jesus, and proclaim His Greatness. The Lord spoke to me personally, but I will leave that for another post. All Glory, Honor, Praise and Thanksgiving goes to Him who sits on the Throne! The Okinawa team did an outreach in a little town near Sapporo called Yuni. The Lord totally blessed them in that the kids came out. Everyone looks so happy and blessed! I love the joy in Naoko's face, you can see it in all the team. Please continue to pray for the team in Sapporo, they will be back Tuesday. If you are in the Okinawa area, please come and join us for our midweek service; Chuck will be sharing in the Word as well as the rest of the outreach team will be giving testimony. Pastor Tim is training him up early. Tomoki looks good in that hat. Zach and Rob are loving that hat. Tomoki a Dodger fan for sure. It is such a blessing to just celebrate the Resurrection with a nice relaxing breakfast. Jesus is no longer in the grave! It is a blessed morning. The team is heading out to Nago to be a part of the outreach that Pastor Tim is having in the area. It rained all day and most of the day. But by the time of the outreach it was beautiful weather. Praise the Lord! At the Good Friday Get Together we had the Tohoku Group share their experience in the relief area. It was a blessing to hear them share. 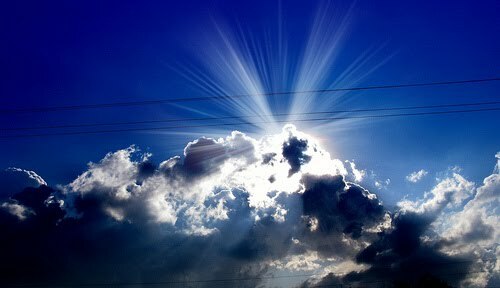 The Word of the Lord said that "God is well pleased with their loving service". We gathered for a dinner and fellowship time at the church. Today our sins have been forgiven on the Cross. Jesus died so that we might have life. Hey, where is Naoko? Oh, she is taking the picture. The team looks good but cold! They are all bundled up while we are in shorts and flip flops. Take care Hokkaido team, be blessed in the Spirit. Simon and Temote from Okinawa Teen Challenge are in the Sedai area helping Samaritan Purse do ministry. The Lord blessed them with a sweet tent, just look how happy Temote looks. God bless the Okinawa Teen Challenge group. God definitely blessed their trip as they were submitted to the moving of God's Holy Spirit. God gave them a fruitful and blessed trip as they went out and did the Lord's work. Please join with us in prayer as we prepare for future trips for the glory of the Lord. Time has just absolutely flown by again. We are moving into our final 3 weeks of the semester. It had been a blast just being with the students but also realizing there is so much that they still need to learn. The Holy Spirit is not finished with us yet, so all we need to do is just submit to His Lordship. God is good. After a hard missions trip to the Tohoku/Sendai area you get hungry. The team is ready to come home, but first one last stop at Costco. Come home safe gang. The Japanese students continue to step out in faith. In their ESL (English Second Language) class they have to prepare their testimony in English and share it for morning devotions. This week Chala gave hers for the students. She did an excellent job! It is great to see them push forward in their language skills. I know that the Lord is going to use it for His Glory. As I am flying back to Okinawa I have to reflect on what is happening here. Joanna, my oldest son Zach and our small team are in Mainland Japan helping in the relief effort. I am flying back to Okinawa with the team from Guam. Tomorrow a team of 10 led by Chuck will be heading to Sapporo to serve during Easter at CCSapporo. Six months ago no one would have ever thought that life would have so drastically change for all of us here in Japan. New vision, new direction for many, some will rise to new heights in servanthood. Serving the Lord full time is an exciting adventure, a pure privilege in a dark world. I recently got off the phone with Joanna and they are hanging with the kids as the guys at an earlier time were helping clean out a house. They are back at the community center getting ready to to cook dinner for the people tonight. Please pray for a fruitful time. This picture was sent from Zach. Now it is time to catch a bus to Haneda Airport for our final flight back to Okinawa. Se of the students are tired, but now it is time for some homework; Chuck Tracts, hurray!